I’m crazy about all things monogrammed. (How’s that for a bit of my partial Southern upbringing coming out?) 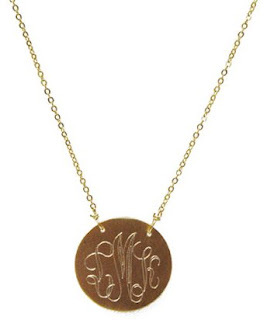 Seriously though, given the chance I’d slap a monogram on almost anything that crossed my path, so I naturally adore this Danielle Stevens necklace. Sigh.